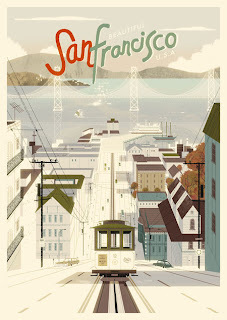 The Association of American Law Schools will be holding its 2011 annual meeting in San Francisco from January 5-8th. This year's theme is: Core Educational Values: Guideposts for the Pursuit of Excellence in Challenging Times. ► At 2:00 pm, Afra Afsharipour will be speaking at the Law and South Asian Studies Section's panel: Lawyers as Social Change Agents in South Asia. ► Also at 2:00, Michele Bratcher Goodwin will speak on the Biolaw Section's panel: Synthetic Biology Meets the Law, and Penelope Andrews will moderate the Africa Section's panel: U.S. Africa Policy at the Midpoint of President Obama's First Term. ► At 9:00 am, Stephanie Farrior, Hari M. Osofsky, Christiana Ochoa, Annecoos Wiersema, Leila Nadya Sadat, and Cindy Galway Buys will be participating in the International Law Section's panel: International Law Year in Review. ► At 2:00, Penelope Andrews will be speaking on the Constitutional Law Section's panel: American Constitutionalism in Comparative Perspective. ► At 2:30 pm, Lisa R. Pruitt will take part in a panel on Class, Socio-Economics, and Critical Analysis. New Voices in Human Rights panel of the Section on International Human Rights. ► At 10:30 am, yours truly, Rebecca M. Bratspies, and Hari M. Osofsky will be participating in the Hot Topics panel: The BP Blowout Oil Spill and Its Implications. ► Also at 10:30, Laurel S. Terry will be speaking on the Education Law Section's panel: Immigration and Higher Education. ► At 4:00, Michelle Oberman will be speaking on the Law, Medicine and Health Care Section's panel: Women's Choices, Women's Voices: Legal Regimes and Women's Health. ► At 7:00 in the morning, Laurel S. Terry will be speaking at the AALS Workshop and Continental Breakfast for 2010 and 2011 Section Officers. ► At 8:30 am, yours truly, Rebecca M. Bratspies, will be speaking on the Animal Law Section's panel: Treatment and Impact of Farmed Animals. ► At 1:30 pm, Elizabeth L. Hillman will be speaking on the National Security Section's panel: The Relationship Between Military Justice, Civil/Military Relations and National Security Law. ► Also at 1:30 pm, Jenia Iontcheva Turner will be speaking on the Comparative Law Section's panel: Beyond the State: Comparative Approaches to Group Political Identity in the Age of the Transnational. ► At 3:30 pm, Christiana Ochoa, will be moderating the International Law Section's panel: Was Medellin Wrongly Decided? ► Also at 3:30 pm, Jennifer Kreder will speaker on the Section on Law and Anthropology panel entitled The Role of Cultural Property Across Cultures and Legal Regimes. As always, I am struck by the wide range of interests that our fearless leader Diane Marie Amann has brought together under the IntLawGrrls umbrella. FYI: Because the Hilton is embroiled in a labor dispute with UNITE HERE, Local 2 (the hotel's workers have been working without a contract for over a year), registration and most of the AALS events have been moved to other nearby hotels. There may be other last-minute changes, so be sure to go by the locations in the schedule you receive at check-in rather than the brochure that circulated last month. See you in San Francisco.